기계식 연료 분사 시스템을 효과적으로 교육 할 수 있는 장비이다. 기계식 연료 분사 펌프의 실험 및 실습이 가능하다. 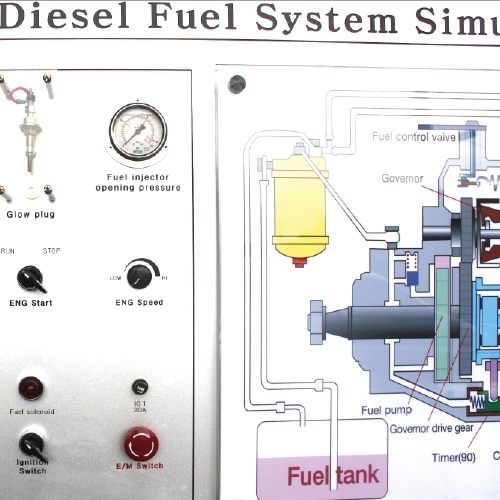 연료량을 측정 할 수 있도록 비커가 부착되어 있다. 다른 분사 펌프로 교환하여 실험이 가능하다. 비커는 투명유리로 되어 있어서 연료가 분사되는 모습을 관찰 할 수 있다. 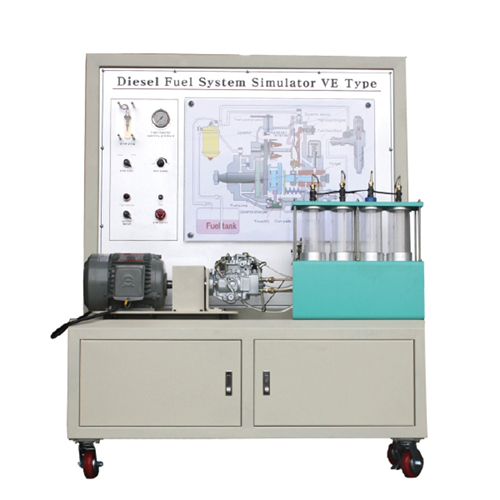 It is a good piece of equipment that helps effectively in teaching the mechanical fuel. 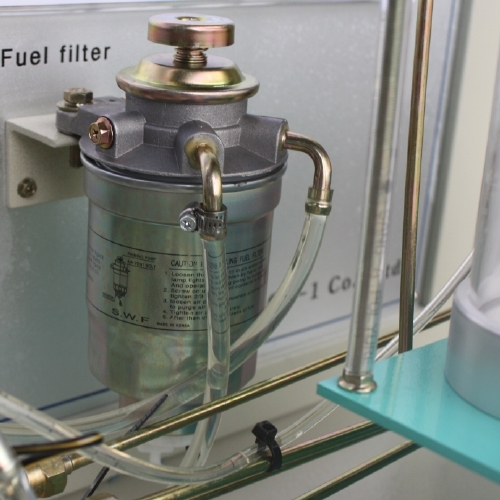 It allows conducting experiments on the mechanical fuel injection pump. 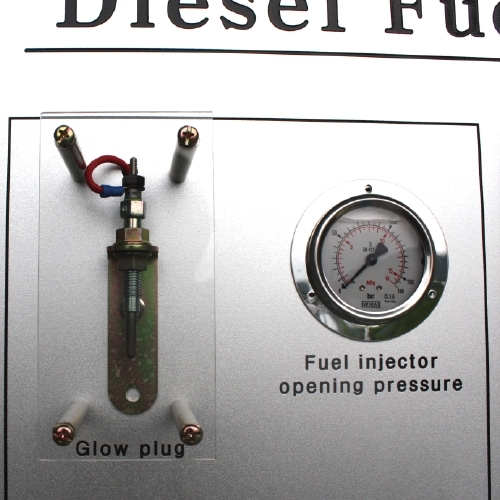 It has a beaker that measures the fuel quantity. 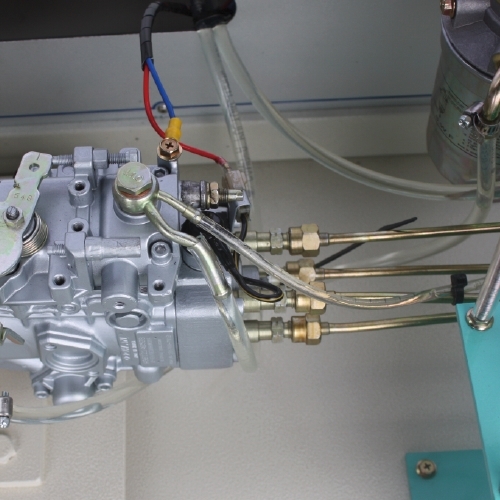 It is possible to exchange the injection pump with a nother one. 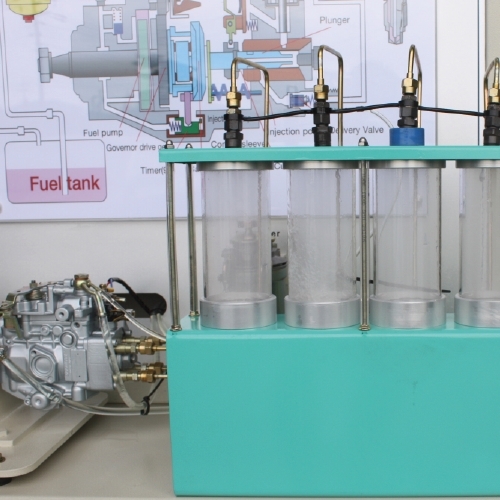 The beaker is made of transparent glass so that the fuel injection process can be observed. 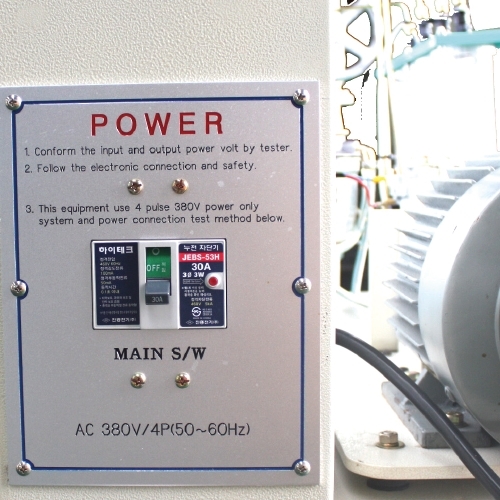 There is a safety cover installed on the revolving parts.